Anyone using Marshall-style amps with an EVM12L speaker? Discussion in 'Amps and Cabs' started by abnerfm, May 3, 2016. Just for the sake of curiosity, what are your thoughts? Thanks in advance. I used a Soldano SLO100 with a EV12L and it was awesome. The EV is a fantastic speaker especially if you want to maximize clean tones on amps that have less than spectacular clean tones. Figaro and abnerfm like this. Here's a demo video of my Friedman Pink Taco 20 watt with a Mesa ported Theil 1/12 EVM12L. I love the EVM12 speaker. I have 3 speaker cabinets loaded with EVM12's that I've been using for 25 years. ianblond, abnerfm and mikebat like this. It's my favorite speaker, I use them with marshall style, fender style, etc. I've done, it can work. As noted above it will assist the clean tone but it won't crunch and give you the Marshall sound, a big piece of which is speaker compression and the EQ curve imparted by a greenback type speaker. Try it though, I think evm12ls work best in clean machine amps, amps that flub up on the bass when pushed too hard like fender blackface combos, or in super high gain applications where the lows need to be be super tight. My guitar teacher runs one in a TL806 cab with his Marshall VM. All his jam buddies say it is his best tone ever. I've run two with a JTM45 clone and it sounded magnificent - first time I really liked the EV's. Joe B and Zakk W were notable users of this combination. sg~guy, abnerfm and eigentone like this. sg~guy and abnerfm like this. EVs are accurate and punchy and efficient- & work very well with amps that use pre-amp gain as the main tone sculpting source, like a Soldano or Mesa - don't get me wrong, the power stage is at play too in a Soldano, or Mesa, or Dumble, etc..., just not as much as an old school non-master Marshall/Bassman design where you have a lower gain preamp really driving into a power stage really driving a speaker like a Clele Greenback type breaking up along with it. Just a different sound. oh, and they work very well for a Princeton Reverb to get tighter lows and more volume/bigger sound. It can be wedged in there but it's tight! 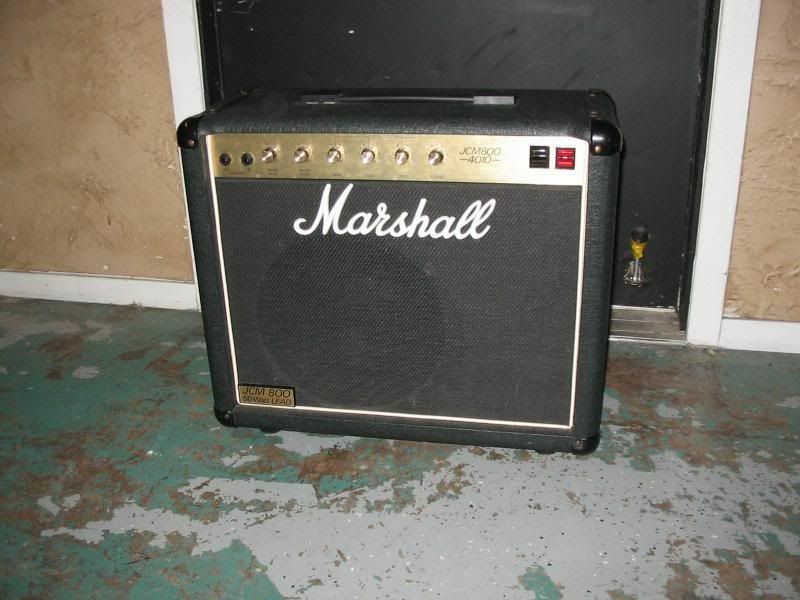 Part of the "Classic" Marshall sound is the combination of a 4x12 or at least a 2x12 closed back cab with M or H style Celestion type speakers. I tried Marshalls and 4x12 cabs loaded with EV12ls beginning of the eighties. Good part of my hearing damage must have come from this period. It got insanely loud. The speakers don't break up at all. Didn't like how they reacted with Marshalls. Of course you can try just one single 12" cab closed back. This becomes manageable in terms of volume, but the EV12L does not even break up in this scenario. Mesas, Dumbles and Dumble type amps however sound best with EV12ls. All the sound is coming from the preamp gain of these circuits and you don't necessarily want a lot of additional speaker coloration. EVs are my default speaker. My Vox prefers the greenback flavor of speaker but even it sounds good through the EVs. 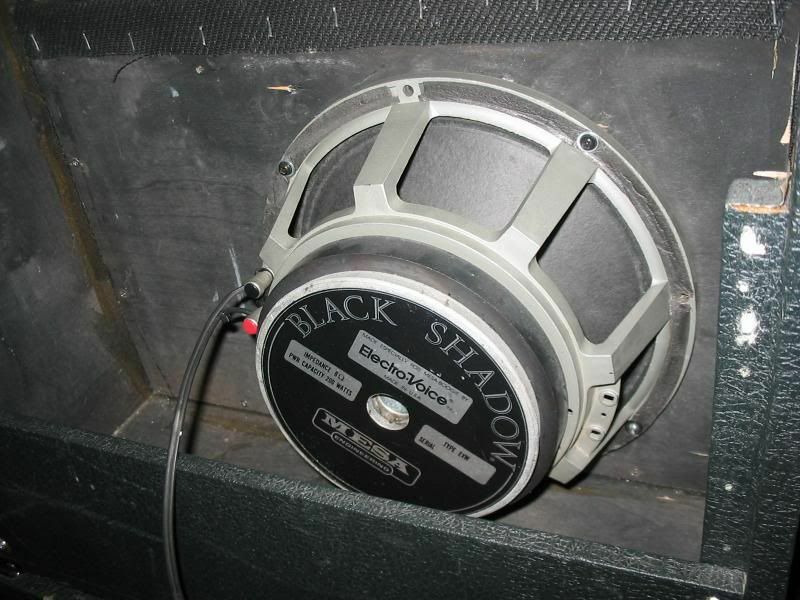 As far as I know, a speaker is an electro-mechanical device that converts electrical energy (voltage) into acoustical energy (sonic pressure waves). So, somebody please explain to me how a speaker knows the difference between pre-amp and power amp OD, and furthermore, how it reacts differently to one or the other in terms of how it "breaks up" or doesn't (because speakers don't "break-up" or "distort", at least not in the sense that most people seem to believe). All a speaker "sees" is voltage from the amp's output transformer. amphog and abnerfm like this. Yup, Bad Cat Hot Cat 100R and Reeves Custom 50 Jimmy. EVM12L + Fane Medusa 150-C Reeves, bottom ported OS 2X12. An EVM12L should be run in an open back, vented or ported cab for proper airflow and cooling. Sure do. My Marshall 6101 30th Anniversary was factory loaded with one. It sounds spectacular. Thirty years ago, a close friend of mine was using a JCM800 through a Sonic 4x12 slant cab. He loaded the cabinet with 4 EVM12Ls. Weighed about 900 pounds. So he took out two of the EVs. Thus, the cabinet still handled 400 watts, but also acted like a bass reflex cab with the two speaker cutouts. Sounded absolutely HUGE, especially on stage. I remember it like it was yesterday. EV and Marshall is an incredible combo. And not just for 'cleans'--not sure where that is coming from. "Speaker breakup" is a term that is thrown around often here and I'm not sure many actually know what it is or even ever experience it. Phletch, Nickstrtcstr and abnerfm like this. I've got 4 EV12L speakers in my Splawn cab! Been running 2 cabs loaded with 'em for 8 years! The Metroplex LOVES 'em! For that matter, because they don't color what your amp delivers, all my amps love 'em! Tonal goodness for days! kstrat, Nickstrtcstr and abnerfm like this.